Flying squirrels don’t actually fly! 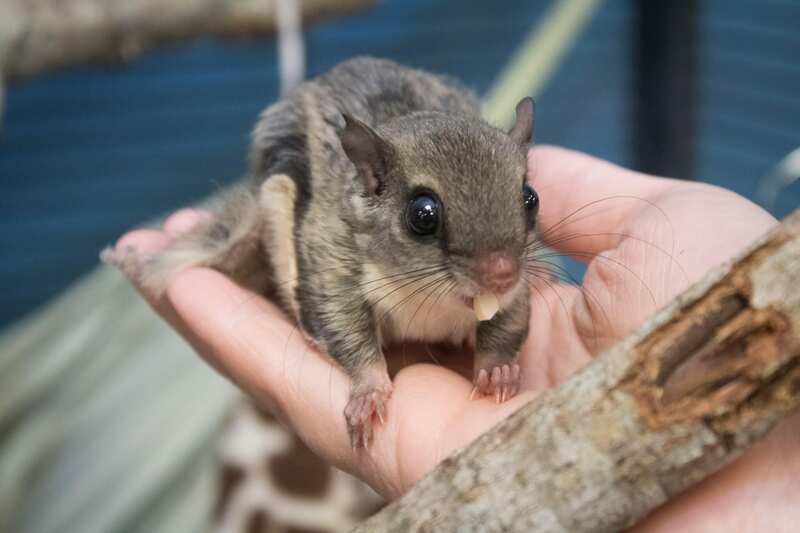 They have a membrane between their fingers and toes called a patagium, which creates air resistance and allows them to glide up to 100 feet! 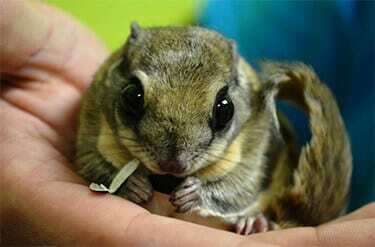 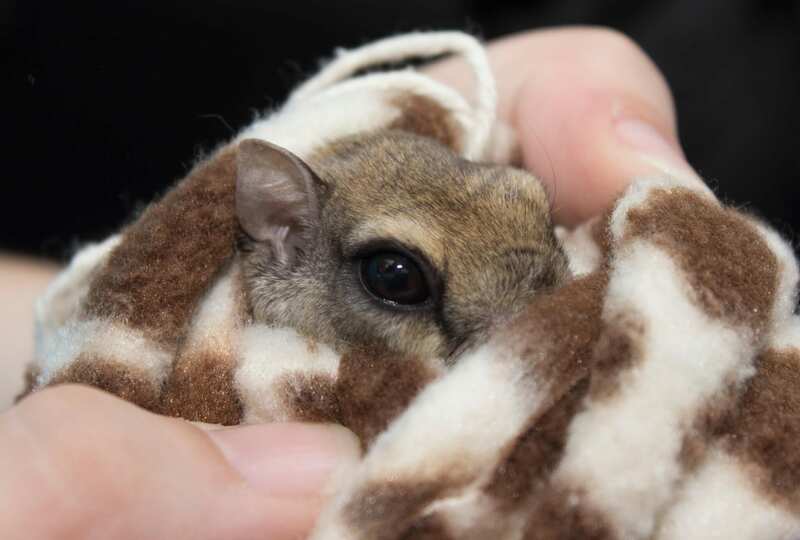 Flying squirrels are nocturnal and extremely active all night in the summer months. In colder seasons, activity is limited to shortly after dusk and right before dawn. 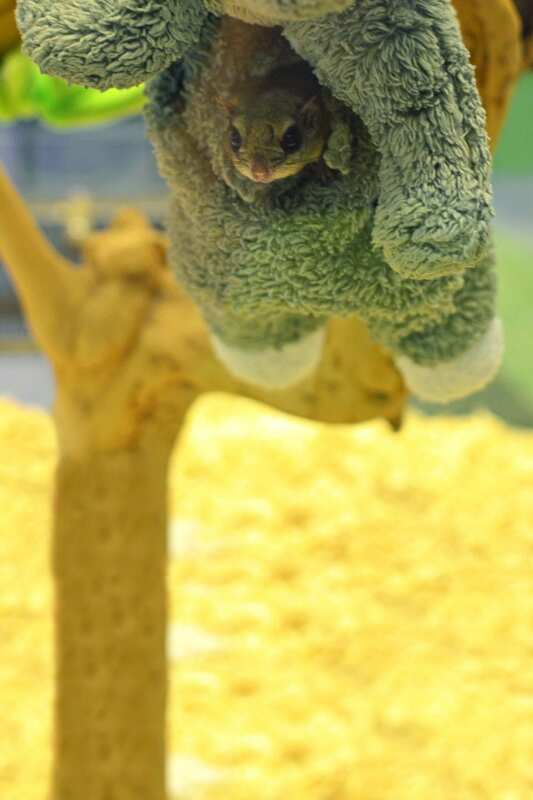 Females are extremely territorial and will guard the tree containing their nest and the surrounding 43,500 sqaure feet! 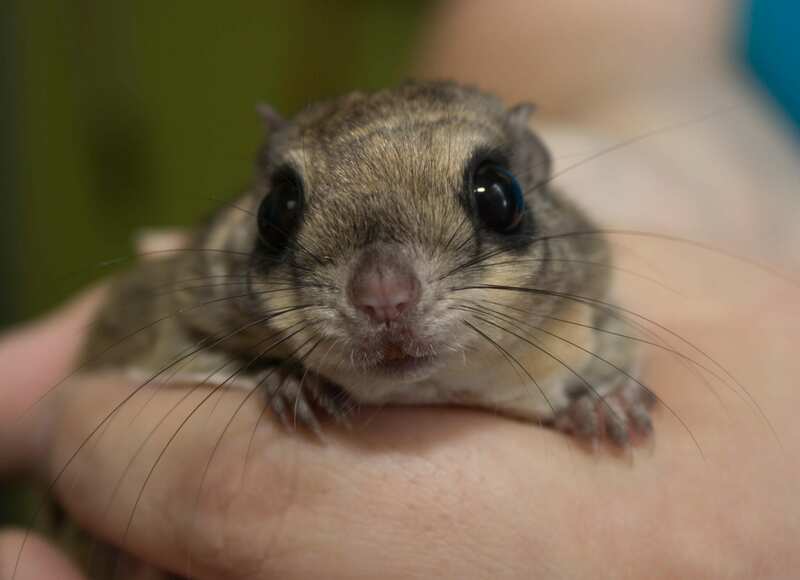 Their large eyes let in lots of light, helping them see in the dark forest at night.